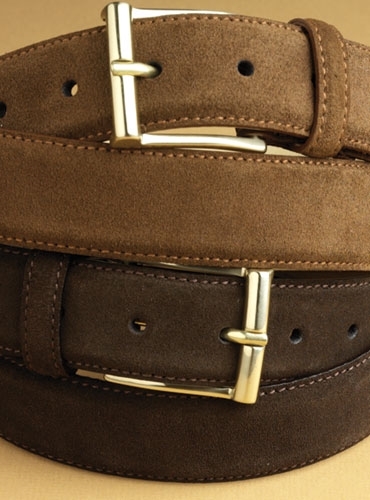 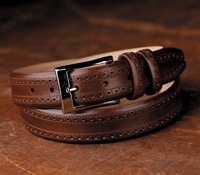 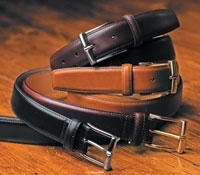 Elegant suede belt in two shades, with a solid brass buckle, hand crafted in Italy. 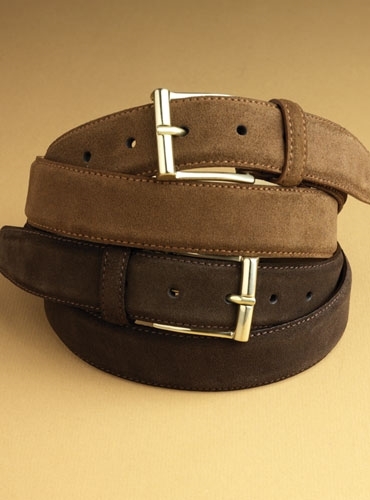 Shown from top to bottom: B-tobacco; A-chocolate. 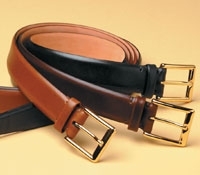 Available in sizes 32–44, 1.1⁄4" wide.